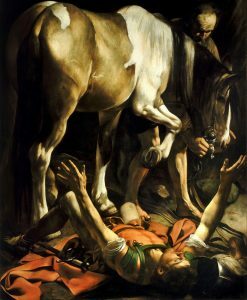 The conversion of St. Paul’s feast day is Thursday. I have been there – to the very location in Damascus several times. I wept when I was there. I’ll be on three radio shows on Thursday describing the importance of his conversion, the impact it made on St. Paul, the impact it had on me when I was there and what it meant for the world. Al Kresta on Ave Maria Radio at 4:00 PM Eastern. Previous post: All Pilgrimages are NOT created equal! Next post: Did the Church Ever Support Slavery?